In Florida as elsewhere, property owners or other business entities who control a particular property have a duty to keep that property in a reasonably safe condition. In Florida, this duty is non-delegable: in other words, even if a business owner hires someone else to maintain the property, the owner would still be liable for any negligence that ultimately causes injuries to a "business invitee." Automobile dealerships, R.V. dealerships, and boat dealerships, like other businesses, may be sued by people who claim to have been injured by a slip and fall or a trip and fall incident while on dealership property. In a slip and fall claim, the injured person would allege that the dealership did not exercise "reasonable care" in maintaining, inspecting, repairing, or operating the business premises, or in warning customers of potential dangers. Slip and fall injuries may be caused by liquids that pool on a floor, making it slippery; by stairs that are not safely designed or built; by potholes or other uneven surfaces (such as torn or wrinkled carpets) on which people may trip; and other similar conditions. A dealership may raise a variety of defenses in a slip and fall case. For example, it may show that its employees regularly inspect the property, work to eliminate any dangerous conditions that they discover, and warn visitors in the meantime; or that the injured person was the one who acted negligently at the time when the fall occurred. In any slip and fall or trip and fall case, a prompt and thorough investigation of the incident is crucial. Hiring a law firm that is experienced in handling dealership defense issues is the most effective and efficient way to resolve any potential claims. 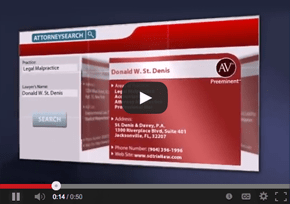 From its offices in Jacksonville, the law firm of St. Denis & Davey, P.A., has built a proven track record of success in defending automobile, boat, and R.V. dealerships throughout Florida against a wide variety of legal claims, including slip and fall claims. Listed in the Florida Bar's Register of Pre-Eminent Attorneys, founding attorney Donald W. St. Denis has received the highest AV rating from his peers and has been named a "Super Lawyer" for the past three years in a row. Together with his partners, associates, and staff, he has built a firm that has tried and won cases against some of the best-known litigation firms in the country, and takes pride in providing each client personalized service and a first-class aggressive defense. 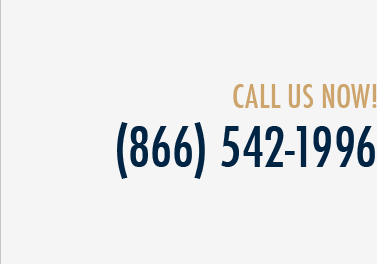 To discuss your slip-and-fall defense needs with a knowledgeable and experienced Florida dealership defense attorney, please call St. Denis & Davey, P.A., at (904) 396-1996, email info@sdtriallaw.com, or fill out and submit our "Contact Us" form.